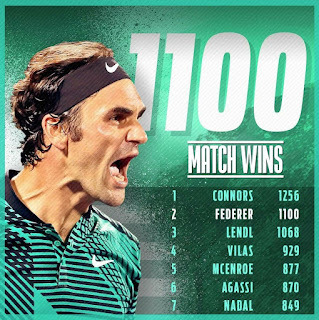 Roger Federer added another milestone to his historic career on Tuesday, celebrating his 1,100th match win to start his Gerry Weber Open campaign in Halle. The eight-time champion breezed past lucky loser Yuichi Sugita of Japan 6-3, 6-1 in 52 minutes to move into the second round at the ATP World Tour 500 event. “The milestone was mentioned in Stuttgart but I had forgotten about it. I appreciate these numbers way more today than ever before. I think I can embrace them more. 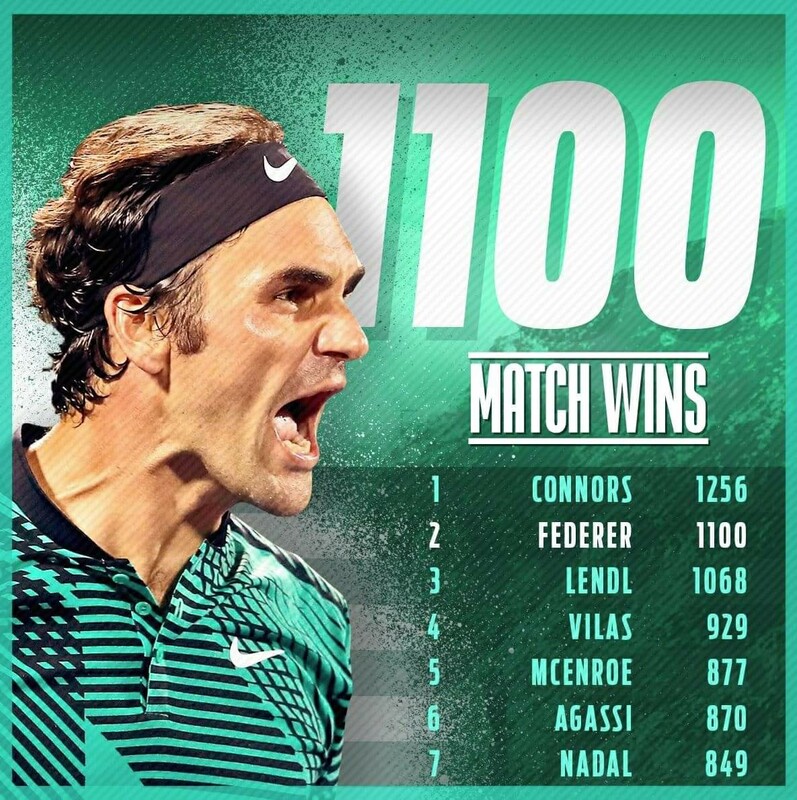 It’s a big number and I’m very happy to have a chance to hopefully add some more wins to that number,” Federer said. The 35 year old rebounded nicely from his early exit last week at the Mercedes Cup in Stuttgart. Federer led by a set and a break and had a match point against longtime friend Tommy Haas but fell to the German 2-6, 7-6 (8), 6-4. Against Sugita, Federer started smoothly and stayed aggressive. He hit eight aces, converted five of his 13 break points and won 90 per cent of his first-serve points (26/29). “I played some good tennis, some nice points. I played the way I wanted to play: aggressive, took charge from the baseline and served well. 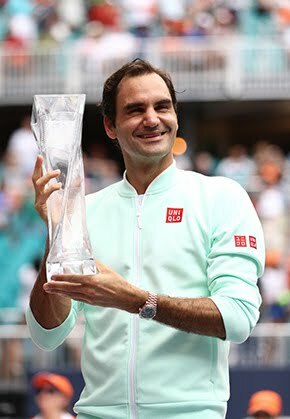 Overall, I’m very happy,” Federer said. The top seed was scheduled to play Yen-Hsun Lu but the 33 year old had to withdraw because of a right arm injury. Sugita made the main draw despite falling to Russian Mikhail Youzhny in qualifying. Youzhny won their match in three tie-breaks and on his 12th match point. “I found out around the same time that everybody else did, around 12 o’clock,” Federer said. “Then I wasn’t sure if it was going to be Sugita or somebody else. I had to wait and see if there were going to be any more changes and a different opponent coming my way. I saw the third-set breaker between Sugita and Youzhny. I saw the last 20 points of that match. 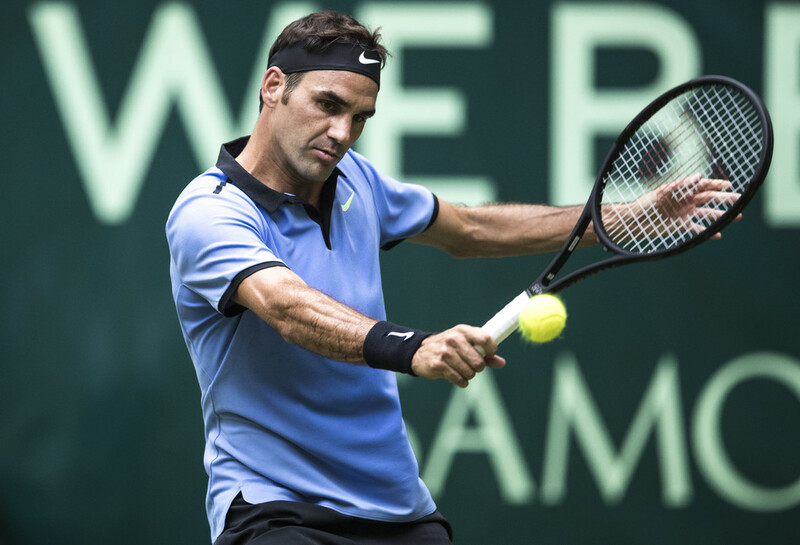 A single break in the first set proved enough for Federer - an eight-time champion in Halle - to open up an advantage he never looked in danger of relinquishing, his impressive groundstrokes making life difficult for the Japanese. Federer raced into a 5-0 lead in the second set but failed to serve out despite having three match points at 40-0 - a long and a wide forehand meaning Sugita avoided the bagel. Federer improved to 20-2 on the season. He will next face the serve-and-volleying Mischa Zverev, who dismissed Slovakian qualifier Lukas Lacko 6-4, 6-4. Federer leads their ATP Head to Head series 3-0, including a double bagel the last time they played on grass, 2013 Halle. 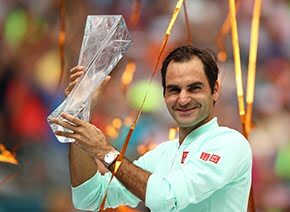 Federer also beat Zverev earlier this year during the Australian Open quarter-finals.